Am working on a pattern presently at the collar stage of a cardigan. Pattern states "Work 5 rows working 5 sts more in 1st and every foll row as before, turn"
How do you increase 5 sts and stay in pattern k1,p1? So I am assuming that you are increasing five stitches evenly across every 2nd row. What I would do is work out how many stitches there are between increases first. Then I would do the first increase row. On the next row I would knit in K1, P1 to the first increase and then knit or purl the two stitches created in the increase. Whether I do 2 x knit or purl would depend on which type of stitch it normal would have been in the K1, P1 pattern. Then for the next increase row I would knit to the first increase (2 purl or 2 knit stitches together) and work the next increase between them. 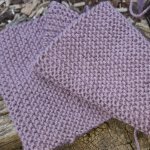 On the next row, you would have a clump of three stitches, and depending on the last stitch you knit before the 'clump' you follow the pattern by doing either k1, p1, k1 or p1, k1, p1. And continue like that until you have finished the increase rows.